At 10:00am BST this morning, London’s Deputy Mayor for the Environment Shirley Rodrigues launched the “Living Roofs and Walls from policy to practice: 10 years of urban greening in London and beyond“ at the 3rd European Urban Green Infrastructure (EUGIC) Conference at Here East in the Queen Elizabeth Olympic Park, London, UK. 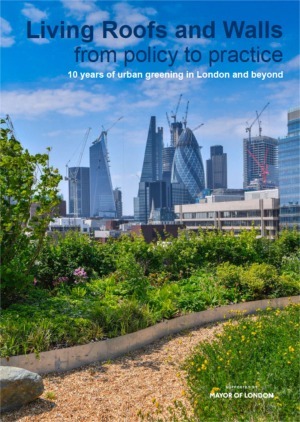 The report shows London’s rapid implementation since the 2008 London Plan of mainstreaming green roofs and walls as a response to the challenges facing cities now and in the future. Held from today through tomorrow, the EUGIC 2019 conference brings together professionals, policymakers and thought leaders from Europe and the UK to share knowledge, inform strategy and shape frameworks for the future greening of the built environment. More information about the London Boroughs’ Green Roof Map can be found in livingroofs.org’s website.